“Shooting for the stars” is more than just an inspirational platitude these days. Humanity as a whole is getting progressively closer to crewed deep space missions, and it is time for investors interested in the entrepreneurial space industry to sit up and take notice. SpaceX doesn't just want to send a human to Mars—they have published plans to colonize the red planet. Blue Origin looks way ahead of their immediate goals to put humans in space—commercially—by next year, and hopes to move industries focused on heavy machinery entirely off-planet, culminating in millions of people living and working in space. NASA isn't choosing sides, finding ways to support both companies while also engaging the private spaceflight industry as a whole. Certainly, we have already put habitats into space—think the International Space Station (ISS)—but these habitats went through a laborious process, where they were manufactured on the surface of the Earth, and then launched via a rocket into orbit where astronauts could assemble the pieces together. The launch process alone places unavoidable limits on the payloads' size, weight, and dramatically increases the cost of building the final product. Of course, one solution to circumvent size limitations was the Bigelow Aerospace inflatable habitats, which can be expanded to massive sizes and also fit inside the rocket's nose capsule, but this solution still doesn't address the weight and cost issues. Instead, the next big thing is the advancement of 3D printing technology, which is undergoing rapid innovation to support our next and continuous journeys into space. The in-space economy will put local resources to work with 3D printing. Clearly, the limitations and rigors of launch seem insurmountable, and for decades these restrictions have simply been dealt with by government space programs and private ventures alike. And yet, with the advent of 3D printing technology, astronauts, pioneers, and settlers in space or on new planetary environments might make use of in situ resources to continue to build and thrive. Just as settlers crossed the Americas in search of Manifest Destiny, if we expect any attempts at colonization to succeed, we must find ways to live off the very land itself by using locally available resources to provide shelter, and more. NASA has embraced the incredible potential of 3D printing technology and is holding a Centennial Challenge, presented in several phases, that should total up to $2.5 million dollars granted to challenge award winners. Every phase takes on a new aspect towards the ultimate goal of building 3D printed habitats designed for deep space exploration and colonization. 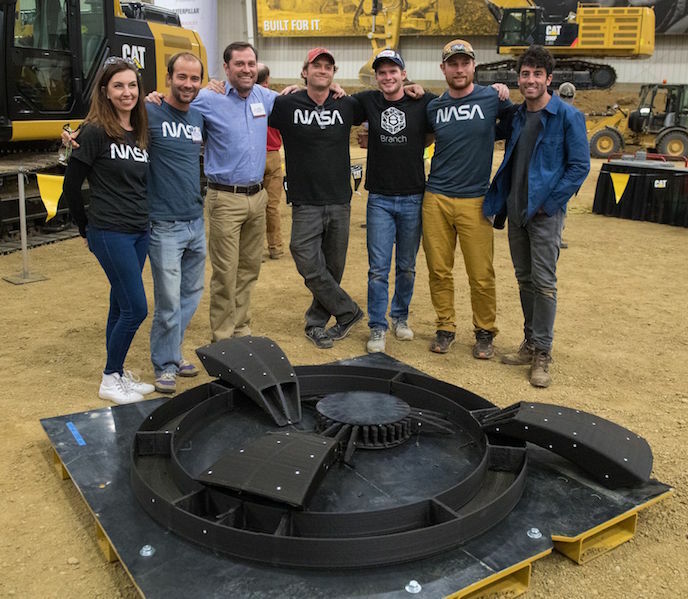 Phase two culminated in a head-to-head ground competition from August 23-26 of this year at the Caterpillar's Edwards Demonstration and Learning Center in Illinois, where Team Foster and Partners took away the first prize, worth $250k. Following up in second place were engineers with Pennsylvania State University of University Park, who were also awarded $150k. 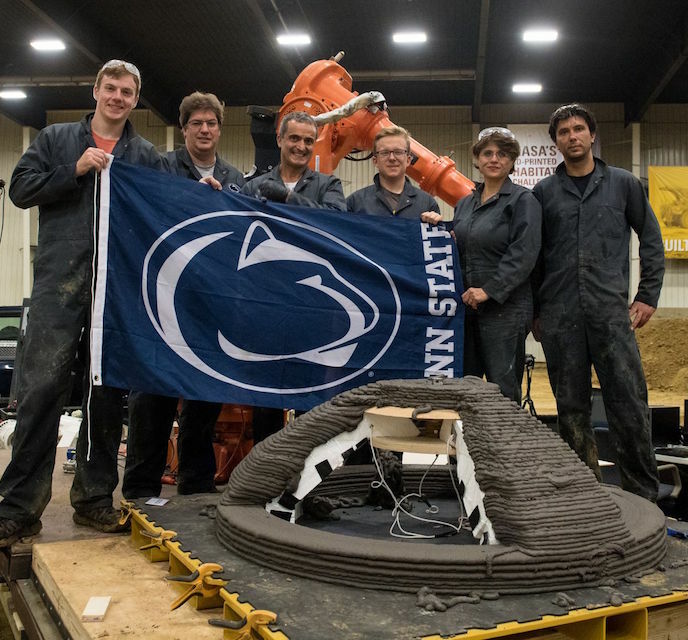 Every team who participated in this final challenge were asked to actively print structurally sound habitat parts from their own construction materials—parts which were then crushed until their breaking point to test their strength and durability. Universal Providers: 3D Printing furthers space exploration in ways both big and small. When it comes to human space exploration, having a place to live is essential—from private habitats for tourists and astronauts staying in low Earth orbit (LEO), to the long-term shelters for colonists starting their lives on the distant, sandy steppes of Mars. However, these large-scale structures aren't the only practical use for space-based 3D printers. In fact, a number of entrepreneurial companies have already taken advantage of the potential 3D printing brings to the space industry. California-based venture Made in Space already has two 3D printers on the ISS, one of which is for use by NASA to build parts and tools such as ratchet wrenches, and the other specifically designed for commercial use. Made in Space’s technology—dubbed the Additive Manufacturing Facility—is busy printing replacement parts and tools as the astronauts need them; a far better choice than launching replacement tools from Earth on future rockets, which could take more than several months to arrive. The company is also collaborating with NASA to build the Archinaut, a prototype 3D printer combined with robotic arms that will perform in outer space, outside of any space station, which will enable additive manufacturing at a low cost and without the risk of having astronauts assemble the pieces. Made in Space isn't alone, with companies like Tethers Unlimited making their way into the 3D printing scene since winning a grant with NASA in 2015. 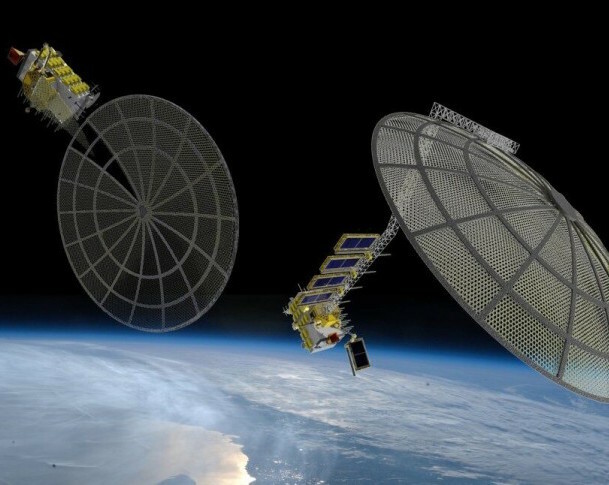 Tethers Unlimited has been working on a specialized 3D printer that can convert plastic waste—which comprises much of the space debris spinning around in orbit—into filament, or feedstock, or 3D printers. In essence, they are building a machine that will recycle the derelict material which is already overabundant in LEO. Texas-based NanoRacks is also keeping its eye on the 3D-printed prize, collaborating with other private entrepreneurial space companies to form the Ixion Initiative Team, spearheaded by NASA. The goal of Ixion (NanoRacks, alongside Space Systems/Loral (SSL) and United Launch Alliance (ULA)), will be to create a commercialized space station that is available for use by the private space industry, as well as building and establishing manufacturing facilities beyond Earth's orbit. Innovation is changing the landscape of space in the near future. Everything on the table today—from recycling space trash and home-making ratchets on the ISS, to planning habitats for colonization on Mars—is only the tip of the asteroid. In fact, the possibilities of moving additive manufacturing into space has an almost endless stream of possibilities to be tapped, and is likely to be the next way the private space industry is revolutionized. With unlimited potential, some future uses of 3D printers in space are closer to bear than others. The satellite industry is an ideal place to start. With printers in space, launch vehicles may soon only need to transport the satellite instrumentation, which can then be incorporated into a fully 3D printed satellite that is readily-deployable in orbit. Printers waiting in the endless and vast regions of space will also be capable of printing out massive structures that would not have formerly fit into a rocket shroud, or any other payloads that cannot maintain their integrity under the stresses of launch—for example, satellite antennas that are extremely lengthy may allow relatively small satellites to transmit exponentially larger amounts of data. What’s more, large telescopes may one day be built in space, allowing scientists to see ever-further beyond the reaches of the Milky Way. There is also the impending era of the private space station, as 3D-printed structures and habitats proliferate throughout Earth’s orbits. As the costs of 3D printing and in-space construction drops, private companies and initiatives such as the Centennial Challenge will ensure that 3D-printed habitats emerge as a viable solution to the dream of off-planet colonization. The future is now, with the help of 3D printing. The advent of 3D printing does more than help us building up structures outside of the atmosphere. It is enabling every imaginative human in the space industry to easily picture a world where millions of people are living and working amongst the stars. Commercial companies like NanoRacks, Made in Space, and even brilliant participants in the Centennial Challenge, are leading the charge forward by innovating varied and functional ways that astronauts and settlers alike can take advantage of additive manufacturing in space.